20th Century Fox’s The Hate U Give, based on the bestselling novel by Angie Thomas, is now in theaters. This essay contains spoilers about the book and movie. If someone were to ask me about my upbringing in New York City, I would say I grew up “hood adjacent.” In N.Y.C., there can be million-dollar condos on one block and poverty-ridden housing projects just a few blocks over. I lived in a private brownstone in Harlem with mostly white neighbors who routinely ignored me—if they weren’t confusedly staring at me when we walked past each other on the sidewalk. I never made friends with any neighbors on my own block, which I eventually learned to accept. Thankfully, I made plenty of friends at school. Hanging out with other Black children was the light of my childhood. Of course, some kids thought that I was “bougie” because of where I lived. Most of my classmates experienced poverty, and their families often relied on public housing and government assistance to survive. But when we played together, it still felt refreshing, because no children in my neighborhood looked like me. My school friends and I understood one another, and for once in my life, I didn’t feel alone. Years later, while I watched The Hate U Give, I recovered a repressed memory from my childhood. I remembered the moment I woke up to my reality as a Black person in America: my first bad run-in with the police. When I was 15, I’d discovered that some of my school friends actually lived fairly close to me, so I invited them over to my house. It was springtime, so we sat outside on my stoop, eating, playing cards, and joking. We were being kids. When the police arrived, they immediately gravitated toward the young Black boys with me and started searching them. The police asked for their identification and whether they had any weapons or drugs on them. Of course the answer was no. At first, I was frightened and couldn’t understand how this had happened. Still, even in my fear, I couldn’t sit back and do nothing. I walked to the top of my stoop and put my key in the door to prove that I lived there. As I turned the key, I faced the police and stated that this was my home and my friends were welcome to stay. Hearing the commotion, my dad came outside to confirm this was our house and my friends weren’t causing problems. The police apologized, told us to “keep the noise down,” and quickly left after realizing that they had foolishly responded to a call that stemmed from hate. Fortunately for me, my first experience with the police didn’t end in brutality, but it left me with an inner uneasiness that has stuck with me in adulthood. Before I’d even watched the The Hate U Give, I saw its moving trailer and knew it was a movie I both needed to see and dreaded viewing. Though it is based on the fictional novel written by Angie Thomas, the events are very real and more relevant now than ever. It is a response to years of Black people being killed by police in cold blood, and no justice being served. Tamir Rice, Tanisha Anderson, Mya Hall, Walter Scott, Sandra Bland, Philando Castile, Oscar Grant, Alton Sterling, Michael Brown, Eric Garner. These are just some of the names of Black people who have been killed because their skin color was considered a threat. The Hate U Give shines a light on this recurring issue in American society by telling the same story—just with another name. The plot follows 16-year-old protagonist Starr Carter (Amandla Stenberg) after a police officer murders her childhood friend Khalil (played by Algee Smith). Starr and Khalil are driving home after attending a party together when cops pull them over. Khalil is fatally shot by the officer after his hair brush is mistaken for a weapon. From that moment on, Starr discovers her own strength and her own weapon: her voice. My upbringing was similar to Starr’s in the sense that we both lived in two different worlds and had to find our place in both. We learn quickly that Starr lives a double life. Her home is in Garden Heights, a poverty-stricken area where crime rates are high and the odds of making it out are slim to none. Her father, Maverick Carter, is an ex-drug dealer/gang member turned local businessman. Her mother, Lisa Carter, is a hospital nurse. Though her parents proactively work hard to “break the cycle” of poverty and violence, it isn’t enough to save them: Starr witnessed her childhood best friend get murdered on a playground by a local gang member at age 10. Starr’s parents took her and her siblings out of their local school to attend Williamson, a private school in the suburbs. Starr 2.0 is the version of herself that code switches, or tones down, the Blackness in her mannerisms and speech so as not to be perceived as “ghetto.” We later find out this is something she hates doing. W.E.B. Du Bois called this double consciousness, or a Black person’s awareness of how society views them. 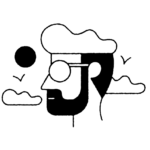 It serves as a tool to help Black people seem less threatening to those around them, especially in the eyes of law enforcement. It’s the same tool that Starr challenges throughout the movie, and it’s one she and I learned at an early age. The film opens with a 10-year-old Starr and her siblings getting lectured by their dad about how to deal with the police. He urges his children, if they are ever to be pulled over by cops, to keep their hands on the dashboard and not make any sudden movements—exposing them to how society views their Blackness at an early age. By 16, in the car with Khalil, the talk became applicable to Starr’s real life. This analysis of how a racist society judges Blackness takes different forms throughout the movie. Starr’s deeper awakening to how her skin color is interpreted forces her to make difficult, traumatic decisions. For one, she has to decide whether to testify in front of a grand jury so that Khalil’s murder case can be brought to trial and his family can, hopefully, receive justice. After his death, the media paints Khalil as a bad drug dealer for a local gang; the news doesn’t care that he was a young man trying to help his family survive after his grandmother’s cancer diagnosis. But if Starr testifies, it will bring attention to Khalil’s work for a drug lord in Garden Heights, putting Starr and her family’s lives in jeopardy. This conflict continues playing out on screen through Starr’s parents: Her dad pushes his daughter to use her voice to support the community, while her mother is more concerned about keeping her household safe—even if that means remaining silent. Starr also faces the choice to stop hiding her true self in order to be accepted by her white counterparts at Williamson. As Starr explains, her white peers like to “act Black” and enjoy Black culture, but they have the convenience of keeping their white privilege. In one scene, Starr experiences an uncomfortable interaction with her best friend Hailey, a white girl. At first, Starr hides the fact that she knew Khalil, let alone witnessed his murder. Hailey sympathizes with the police officer who killed him, claiming the cop was just doing his job and protecting his own life. Starr, of course, is outraged and understands him to be a racist murderer. Hailey’s continued ignorance about police brutality and her failure to acknowledge social injustice inevitably ends their longtime friendship. The film and book’s title, The Hate U Give, comes from T.H.U.G.L.I.F.E., an acronym popularized by Tupac Shakur. 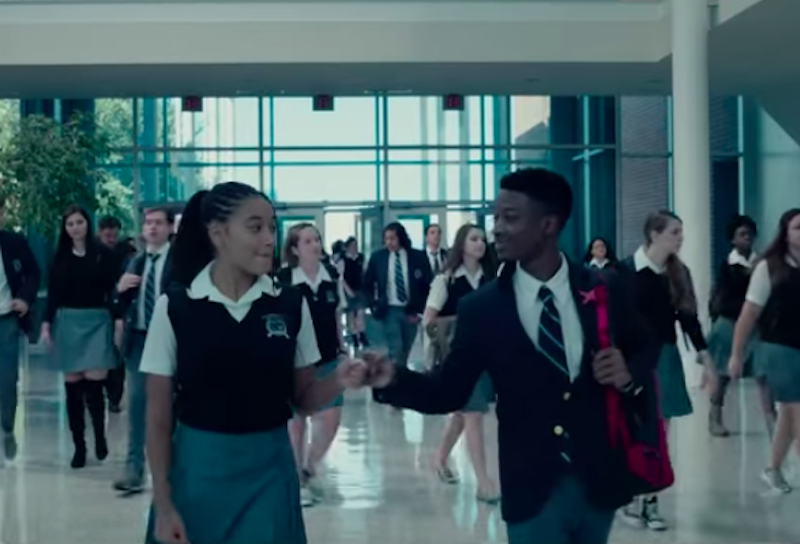 It means “the hate u give little infants fucks everybody.” Khalil breaks down the acronym’s meaning to Starr just moments before he is murdered. In the words of Tupac, “What you feed us as seeds, grows, and blows up in your face…” Young children internalize the hate given to them by society. In the movie, we see this when Starr’s baby brother raises a gun to his dad’s rival during an altercation. 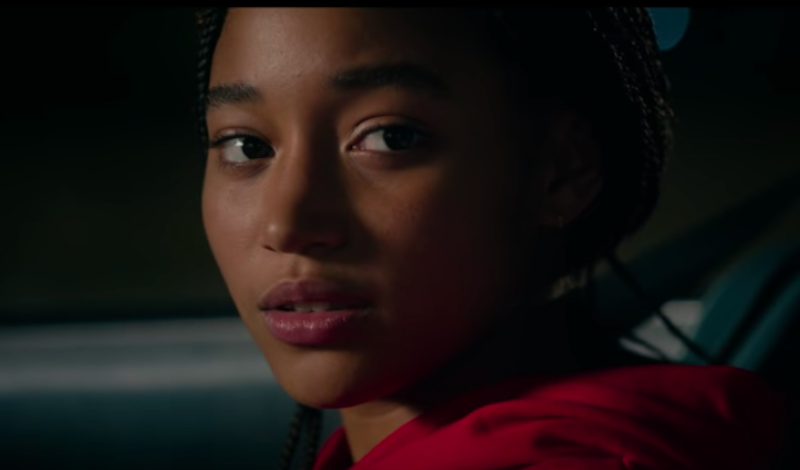 The Hate U Give depicts the “why” for what happens in poor Black communities while also touching on what goes through the privileged minds of those outside “the hood.” It strives to put our misconceptions about one another in front of our faces and leaves us with a better understanding of how racism works in America. I think of Maverick’s breakdown of drug dealing in the film: it is often a necessary means of survival when the odds are stacked against you, but is seen as a purely criminal choice by others. I urge everyone to see The Hate U Give. It is a step toward better educating our country about racism and its role in society—something we desperately need.